What should America do about its disastrous high school dropout rate? 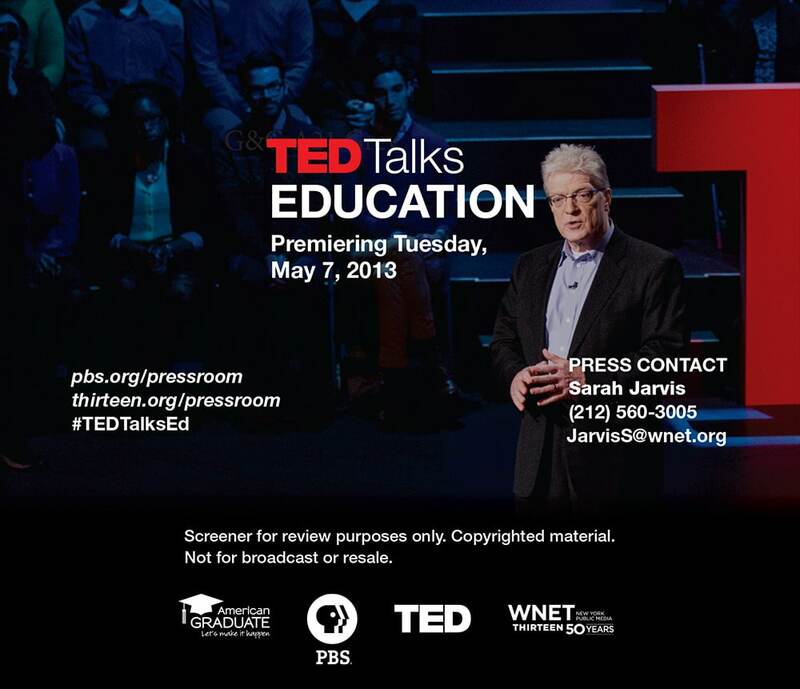 That’s the focus of TED Talks Education, the first ever TED/PBS television special, hosted by John Legend, the award winning musician. The program looks not only at what’s going wrong in high schools, but how to put it right. As it happens, the solution is not a mystery; but putting it into practice will involve a major shift in current policies. In 1970, the US had the highest rates of high school graduation in the world, now it has one of the lowest. According to the OECD, the overall US graduation rate is now around 75%, which puts America 23rd out of 28 countries surveyed. In some communities the graduation rate is less than 50%. About 7,000 young people ‘drop out’ of the nation’s high schools every day, close to 1.5 million a year. The social and economic costs are enormous. Research indicates that in general high school graduates are more likely to find employment, to earn at higher levels and to pay more taxes than non-graduates. They’re more likely to go on to college or other learning programs. They’re more likely to engage positively in their communities and less likely to depend on social programs. It’s not true, of course, that pulling out of high school inevitably leads young people into trouble. Many high school ‘drop outs’ have gone on to have extraordinary, successful lives. What is true is that a very high proportion people who are long term unemployed, homeless, on welfare or in the correctional system do not have high school diplomas. According to one estimate, if the numbers of young people leaving school early could be cut by 50%, the net gain to the US economy from savings in social programs and gains in additional tax revenues could be around $90 billion a year – that’s almost $1 trillion in just over ten years. That’s a big number. But think too of the potential social benefits to all of us of hundreds of thousands of young people moving on every year to lives that are more productive and fulfilling. We’ve known about the dropout crisis for a long time. In 1983, the Reagan administration published A Nation at Risk, a dire warning of the need to reform US schools. In the thirty years since then, federal and state governments have launched hundreds of initiatives and spent billions of dollars trying to do just that. In the ten years since the launch of No Child Left Behind, these efforts have intensified. The results have been unimpressive. Graduation rates continue to falter and students and teachers alike are becoming more disaffected. So what’s the real problem here? 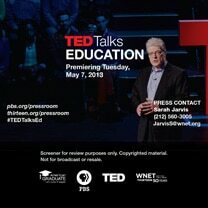 One of the themes of TED Talks Education is that current policies are based on a tragic misdiagnosis of the problem. They treat education as an industrial process rather than as a human one. They are driven by a culture of testing and standardization that has narrowed the curriculum and sees students as data points and teachers as functionaries rather than as living breathing people. To improve our schools, we have to humanize them and make education personal to every student and teacher in the system. Education is always about relationships. Great teachers are not just instructors and test administrators: they are mentors, coaches, motivators, and lifelong sources of inspiration to their students. Teaching is an art form. Great teachers know they have to cultivate curiosity, passion and creativity in their students. Ramsey Mussallam is a high school chemistry teacher, who shows how achievement soars when teachers fire the imaginations of their students with a true spirit of inquiry. All students have their own stories, motivations and circumstances and teachers have to connect with them personally. Psychologist Angela Lee Duckworth talks about the importance of encouraging students’ positive attitudes to life and learning – or ‘grit’, as she calls it. Pearl Arredondo is a powerful example of grit. All young people have unique talents and interests. In his moving poem, Malcolm London argues that education has to connect with the real lives of young people and not stifle their hopes and dreams. This is one of the themes of my own new book, Finding Your Element: How to Discover Your Talents and Passions and Transform Your Life. The key to personalizing education is to invest properly in the professional development of educators. As Bill Gates argues, teachers need mentors too. Supporting educators to become the best they can be is one of the surest routes to improving the nation’s schools. In my view, we should then give them the creative freedom to innovate and do their jobs within a proper framework of public accountability. There are those who say that we can’t afford to personalize education to every student. The fact is that we can’t afford not to. Watch the program and see what I mean.